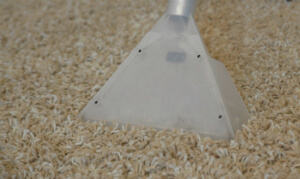 Want to know how much it will cost to get your carpet deep cleaned by specialists? Get a non-binding and free estimate right away. Call 020 3746 1366 or use the online contact form here. We are available 24/7 to answer your inquiries! Ashlee House Cleaning offers the most modern and efficient carpet cleaning methods, suitable and safe for all types of carpet materials. The background checked and experienced cleaners look at the carpet to figure out its exact type and condition and carry out tests of all the detergents that will be applied. Then they will continue with the deep carpet cleaning procedure. After the rug or carpet is hoovered, the stains and heavy traffic areas are pre-treated with the right solutions. Then steam carpet cleaning or dry carpet cleaning is carried out to rejuvenate and sanitise the carpet. Steam carpet cleaners use a powerful hot water extraction machine, while dry carpet cleaners apply a dry powder for carpets that are delicate and moisture-sensitive. Both methods that we offer in Hyde Park W2 are safe and efficient. We are among the recognised carpet cleaners in Hyde Park W2. Since the beginning, Our company has worked hard to establish itself as a top preferred and leading carpet cleaning service in the area. Our professional cleaning services company works with many business and private customers. We will clean all types o rugs and carpets and proper fibre protection can be applied. We invest in and work with the most advanced professional cleaning solutions, technologies and methods, because the satisfaction of our clients is our main concern! You can call any day of the year for our carpet cleaning experts in Hyde Park W2 to visit your business or home premises and deep clean your rug or carpet. We have weekend and public holiday availability. The earlier on you book, the better the price you get. Call 020 3746 1366 or send us an online request here. The operators are always here for you to process your order in less than 2 hours. We can come on the same day in a case of emergency. We have affordable prices for the expert carpet cleaning service. If you book more than one service at once, you will get a discount. Regular customers, estate agents and landlords enjoy special rates. Let us clean your carpets to perfection - book our service!